“Ocean acidification” is a term you may have heard in relation to coral reefs. As carbon dioxide increases in the air, the amount in the ocean goes up as well. The increased carbon dioxide makes the ocean water more acidic, making it more difficult for corals to grow their calcium carbonate skeletons. This has several potential negative effects on the coral reef environment. 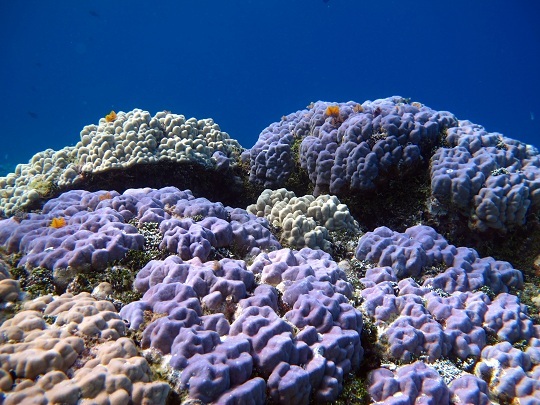 In order to better understand the effects ocean acidification is having on our oceans, a researcher on each mission looks at the connection between water chemistry and coral growth rate. Studying growth rates of corals like these (Porites) will help us to understand how ocean acidification is affecting coral growth rate. Dr. Ian Enochs works for the University of Miami and NOAA and is helping to assess the impact of higher ocean acidity on the corals of French Polynesia. He has constructed an instrument that measures carbon dioxide, pH, temperature and salinity! 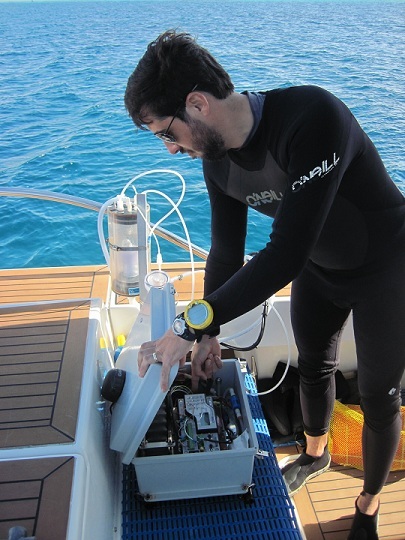 Dr. Ian Enochs prepares his equipment to measure the water chemistry and ocean acidity at each dive site. 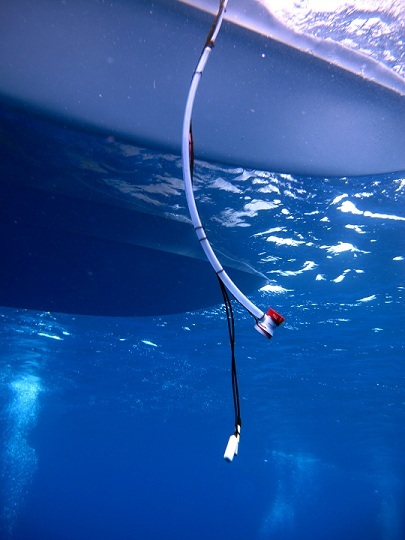 Before every dive, he places a water pump connected to a surface unit over the side of the dive boat to measure the water chemistry. Dr. Enochs and his collaborators have conducted some exciting ocean acidification research in the past and we can’t wait to see what they find during the Global Reef Expedition. The water pump is deployed during every dive.